Here we are in week 3 already! This week we will read chapters 11-15. 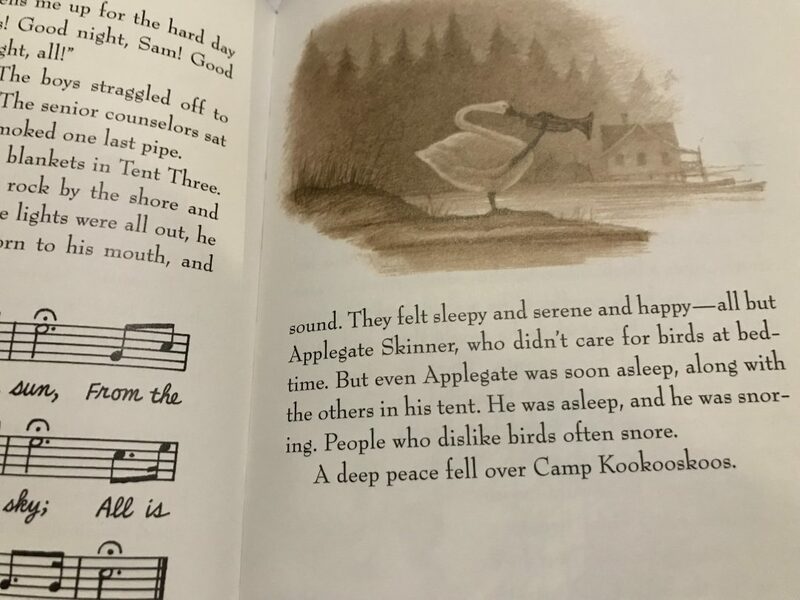 In this section of the book, Louis goes to camp and then to Boston. If you didn’t camp last week, you could still plan an overnight backyard campout! 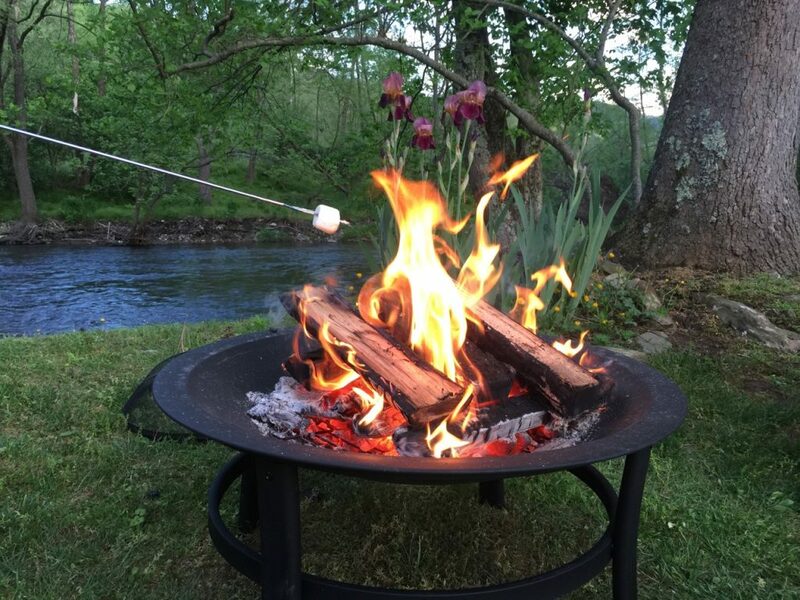 If you do camp, consider singing camp songs, toasting marshmallows and don’t forget to name your camp. If you have a piano, page 116 in my copy shows the sheet music for taps. Try it! Ask the kids to lie down and see if the song makes them feel sleepy. Find a camp activity to participate in: canoeing, volleyball, or a nature walk. Talk about water safety. What should Applegate have done when he was upset? Questions: How would you feel if someone saved your life? Or if you saved their life? Do you think people who save a life should wear a medal so everyone knows they are brave? How bad does it smell when a skunk sprays? Find Boston on a map. Put the beginning and ending destination into a mapping program and estimate how far Louis flew from camp. You could put the starting point near Glacier National Park. We know the Red Rock Bird Sanctuary is in Montana and that they drove north to camp. The camp was probably over the border in Canada. So use that area as a starting point. Write poems or songs. Practice playing any musical instruments you own. 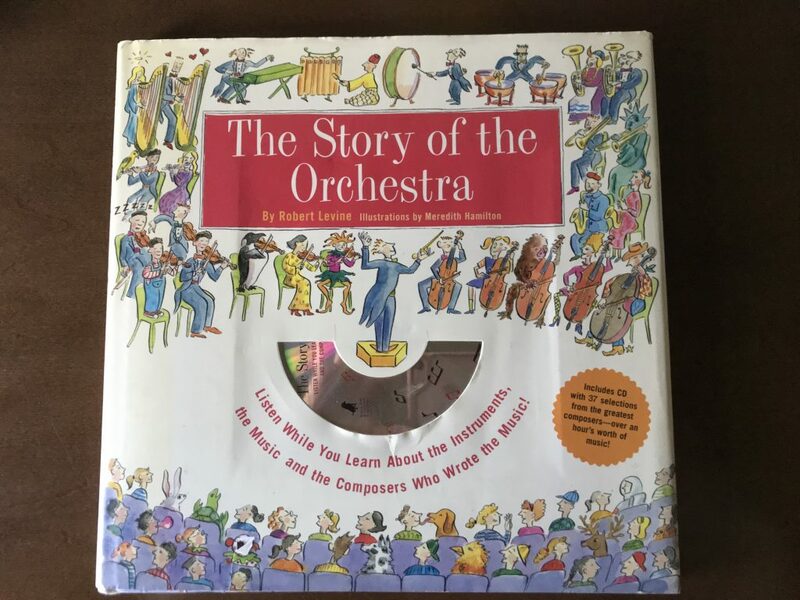 Listen to clips of different music styles or read and listen to the Story of the Orchestra (mentioned this one last week as well). 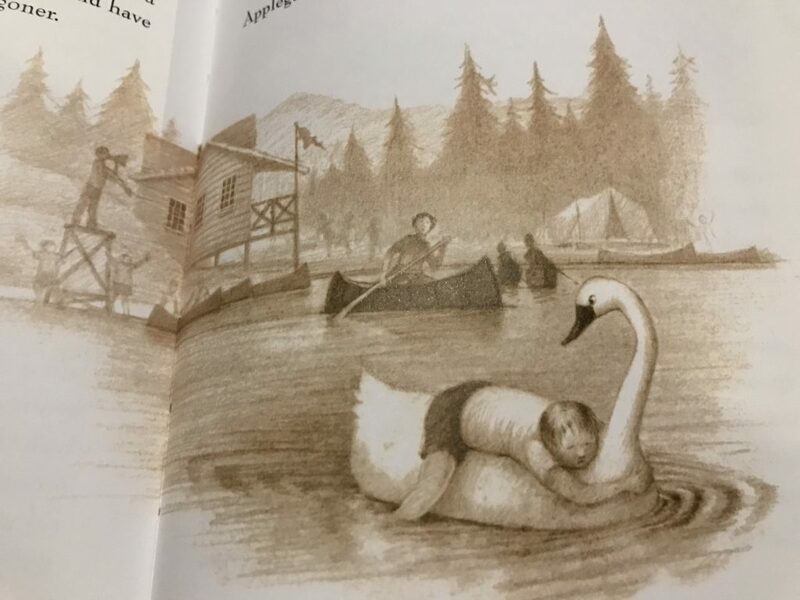 Go on a bike ride and pretend you are pedaling the swan boat around the lake. If your area has paddle boats, ask your kids how far they think they can paddle with their legs. Try it out! Look up current prices at the Ritz Carlton Hotel in Boston. What is the price for a room? Let the kids pretend that one of their rooms is the hotel room. Pile nice blankets on the bed or make a blanket fort. Duties can be split between check-in, bellhop, and room service. The kids can take turns being in the hotel room, using bubble bath in the bathtub, ordering room service. Make sure you present a bill at the end (Math)! They can just sign the check or give them monopoly money and let them pay on their way out. If you have older kids, teach them to tip. I did this on a recent trip with Ethan and the server stopped and thanked me. She said so many customers have never even been taught. After that trip, I sometimes push the receipt across the table and ask him what to tip. Good to keep checking. Show your kids how to write a letter or if they know, provide an example. Let them pick who to write and oversee getting these handwritten treasures mailed. Write a newspaper article like the short one featuring Louis. Look around for something exciting and when it happens, dash off a paragraph for the family newspaper. Questions: What would you order from room service? Would it be fun to stay in a fancy hotel? Where would you most like to stay? Stay tuned next week for our final week of chapter notes and party ideas!